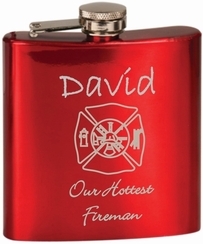 Show your appreciation with a personalized engraved flask. This glossy red 6oz stainless steel flask can be engraved with any logo or text. 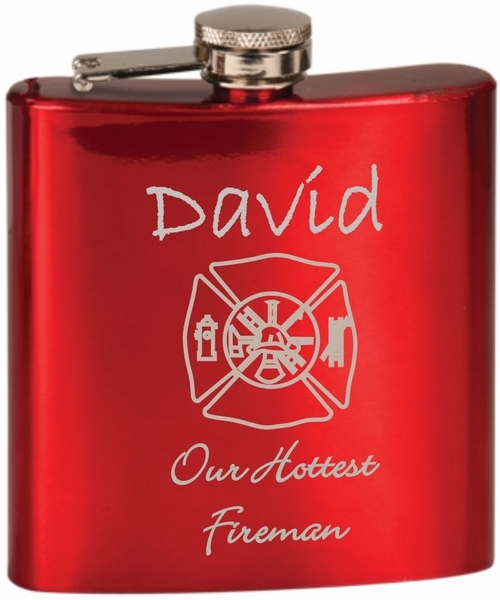 Our laser engraved flasks can be personalized with just the right message for your best man, groomsmen, friend, brother, sister or for any occasion.